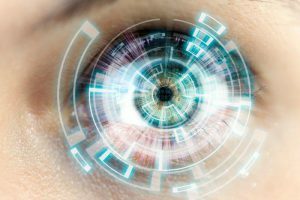 Laser eye surgery is an investment for your future, but just like all other investments, you need to weigh up the expenses, as well as the benefits. When considering the procedure, it’s easy to feel overwhelmed. But instead of trying to crunch the numbers, take a moment to stop and consider what the costs would be if you didn’t get laser eye surgery. Think about the money required to be spent on glasses, contact lenses, and upkeep. Even if your prescription has remained stable for some time, you’ll likely need new glasses every now and then, just from general wear and tear. On top of that, styles can go in and out of fashion, so if you’re someone that likes to keep up with your personal style, updating frames can be costly. And even if you have optical extras on your health insurance, the costs still happen to add up over time. Contact lenses vary in their costs, and depending on your lifestyle choices, can be tricky to maintain. Daily disposable lenses are more expensive upfront, but lenses that need cleaning and storage mean that you also need to buy solutions to do just that. Whichever type of contacts you wear, the hip-pocket can take a hit, especially when you start to multiply it over the years. Not buying glasses and contacts are the main savings that having laser eye surgery will bring, but there are a surprising number of extras that add up too. Sunglasses are one of these, when you require a prescription. They need replacing and updating as often as your regular specs, and clip-ons usually only suit one specific frame. Beyond that, sunnies seem to be particularly prone to breakages and being lost, which is not surprising, given that they are often worn outdoors, during exercise, and at the beach. And if you’re a swimmer, prescription goggles are a necessity. Prescription snorkel and dive masks are also essential for those who love their underwater adventures. Not only will laser eye surgery give you a new incentive to dive into life, you will no longer have to keep forking out the cost of being able to enjoy the beauty of our aquatic environments. You should continue with regular eye-health checks with your optometrist after laser eye surgery but these consultations do not require private health cover. Without having to buy glasses and contact lenses, you will find that you may no longer need optometry extras health cover. Laser eye surgery might allow you to switch to an alternative option of extras cover, either giving you new cover in a different health area, or reducing your costs overall. Even the prompt to shop around and compare health insurance options is likely to give you a reduced premium. The dollar figure for expenses you will save as a result of having laser eye surgery will vary for each person. The specific amount will be very different, depending on whether you are a ‘I-need-frames-in-every-colour-in-the-latest-model’ kind of person, or a ‘I-use-the-cheapest-contact-lenses-and-have-had-the-same-backup-pair-of-specs-for-years’ kind of person. At a rough estimate of $200-500 for a new pair of glasses, $200-600 for prescription sunnies, $200-350 for a year’s supply of monthly disposable contact lenses and $50-150 for a pair of prescription goggles, you’ll see that the savings can add up quickly. If you are motivated by the savings you can make by having laser eye surgery, act now by phoning NewVision Clinics on 1800 20 20 20. Byline: Vivienne Pearson is a freelance writer who, thanks to being diagnosed as short-sighted at the age of 8, is well acquainted with the costs associated with wearing glasses and contact lenses.